Unlike certain products, Dermatude features needles with ultra-precise depth adjustment that will always reach the right layers of the skin. Most micro-needling techniques for facial treatments use needles that are too long, which can result in irreplaceable subcutaneous damage, similar to the scars that form after second degree burns. The repeated or short term use of Dermatude is proven to be more effective and safer than any other micro dermal needling technique available for anti-aging for the face or for scar removal. The new procedure stimulates collagen deposition in the dermis layer to thicken and firm the skin, creating a smoother surface. This procedure stimulates your skin's cellular proteins like PDGF (Platelet-drived growth factor) to transform into TGF- beta (Transforming growth factor beta,) triggering it to regenerate collagen fibers which fill in any skin irregularities. Tattoo dermal rejuvenation leaves the skin feeling and looking younger. Wrinkle Diminishing Skin Needling Therapy...is a sophisticated technique which promotes the body's natural production of collagen and melanin(pigment producing cells) is a less expensive alternative to laser resurfacing! 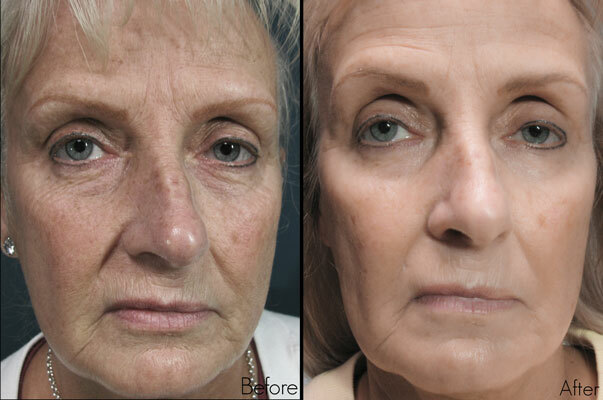 This technique preserves the integrity of the skin as it stimulates collagen deposition in the dermis and thickens it, creating a smoother complexion. It also greatly improves wrinkles, skin texture and tightness scarring (acne, chicken pox, surgical, old fibrous and depressed scars) stretch marks, large pores and sun damage. Skin Needling does not “inject” anything into the body. There is no pigment involved in Skin Needling you are not getting a tattoo. This procedure stimulates the body’s own natural electrical responses. These signals induce your body's own natural human growth factor (PDGF), to transform into growth factor (TGF beta) causing it to fill the “valleys” of the wrinkles with collagen fibers, leaving the skin smoother and younger looking. Includes Forehead, Eyes, Upper Lip & smile Areas. A $150.00 savings.